The cyclical nature of the Jewish year brings purpose and identity to the Jewish people. 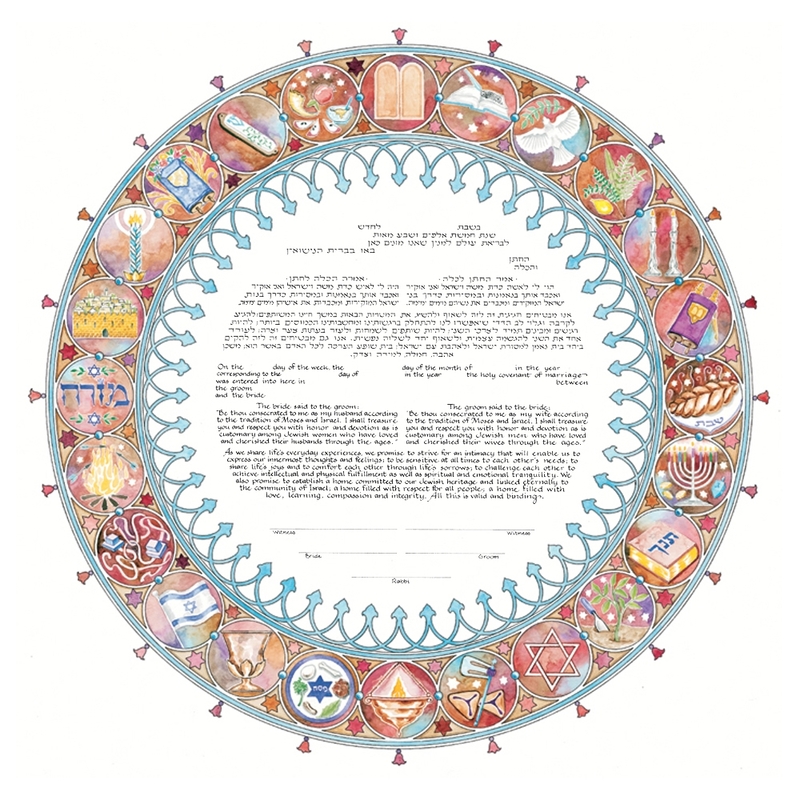 Rich watercolor illustrations symbolizing daily, weekly and yearly Jewish rituals and celebrations are illuminated in this circle of harmony and joy. Fine gold foil accents enrich the design. Mickie Caspi's art first developed out of her love for calligraphic arts, which she studied at Columbia College in Chicago. She produces original watercolor designs for Ketubot, art prints and greeting cards, as well as a line of Seder plates. 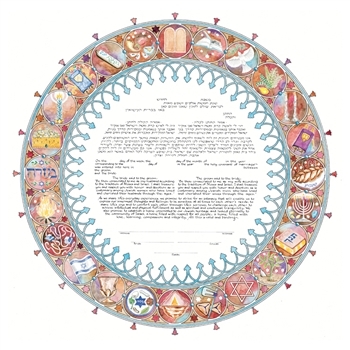 For over twenty years, Caspi has produced a line of Judaica inspired by Jewish, Persian, and Arabic styles, as well as contemporary graphics and art deco. Mickie Caspi's ketubot are printed in israel.